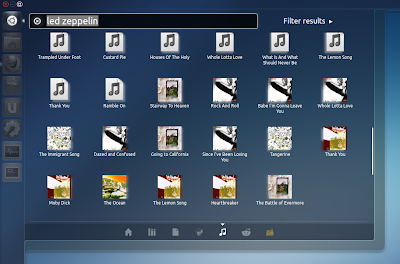 David Callé has released a Grooveshark scrope for the Unity Music lens which lets you search for music on Grooveshark from Dash. The new scope uses the free Grooveshark API and clicking on a search result opens a new tab in your default browser, playing the selected song. If you encounter some other bugs, report them @ Launchpad. Update: Grooveshark Scope has currently reached the API usage limits. Hopefully, it should work again in a few hours. See this comment.